World Egg Day is observed in many countries around the world on the second Friday in October. This holiday is dedicated to eggs and praises their ability to feed all people around the world. World Egg Day was established in 1996, when the International Egg Commission dedicated the second Friday in October to celebration of eggs. This idea was supported by egg lovers and people connected with the egg industry from all over the world and this holiday became an international event. Celebration of World Egg Day attracts public attention to eggs, as a good source of protein, vitamins, folic acid and other nutrients. Eggs have a vital role in feeding people around the world and they are always affordable. 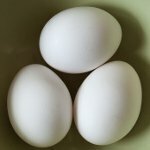 Various eggs-related events are organized on this day. Everyone may enjoy cooking shows and learn new recipes for cooking eggs. Children are also welcomed to participate, that is why schools may organize cooking competitions for the best or the fastest omelet or any other egg dish.